One of my best childhood memories is when my grandmother and mother made easter bread. 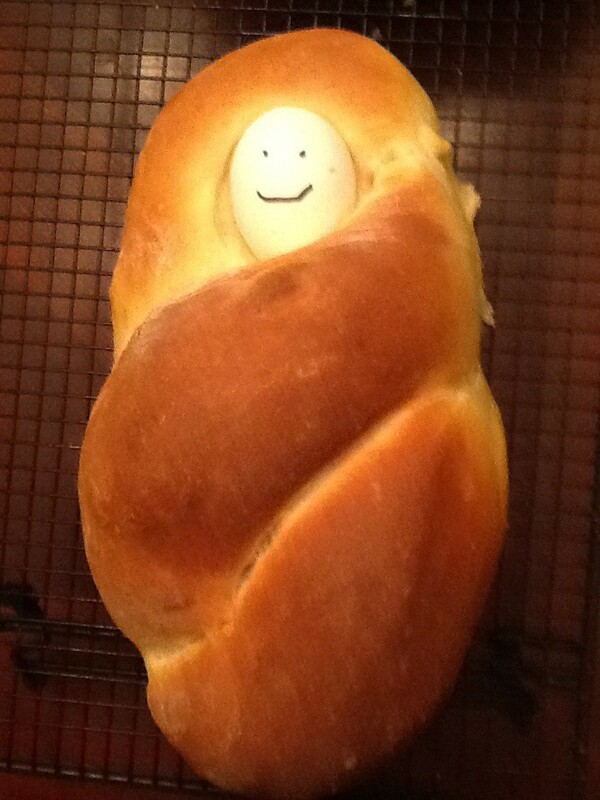 My mother told me that my grandmother used to make it with a colored egg in the nest of the braid so that the loaf looked like a baby swaddled In a blanket, I only recall a loaf without the eggs but I tried it for this post! If you google “easter bread” you will find some images with the colored eggs and could certainly adapt this recipe to a more traditional presentation! This makes 10-12 loaves. Just like the white bread recipe on this post. I don’t recommend cutting the recipe! Beat the egg. Add oil and beat. Add the sugar/water mixture to eggs and oil and add salt, yeast mixture and anise (or vanilla). “Grease” a large bowl with oil and place the dough in the bowl and roll it to ensure oil covers the dough. 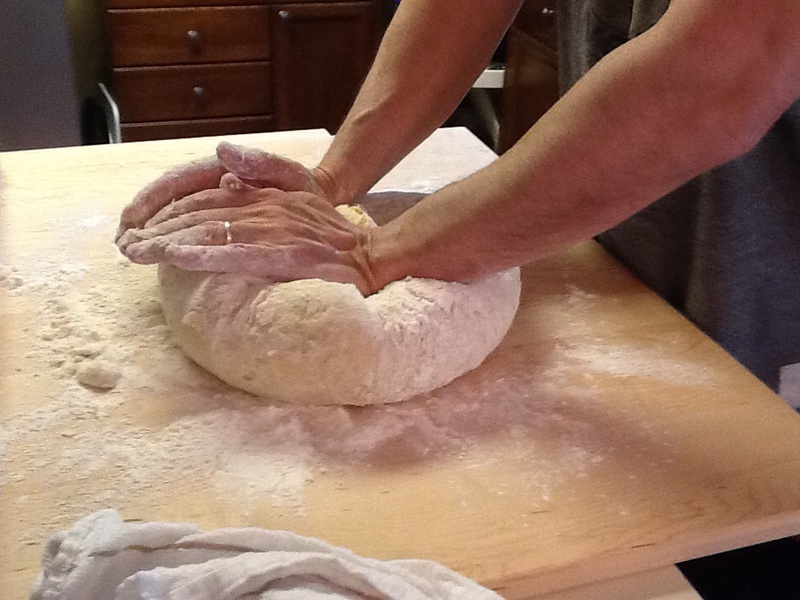 Cover the dough with a cloth and let rise until doubled in size. This will take approx. 1 1/2 – 2 hours. Be patient, this is a very important step! 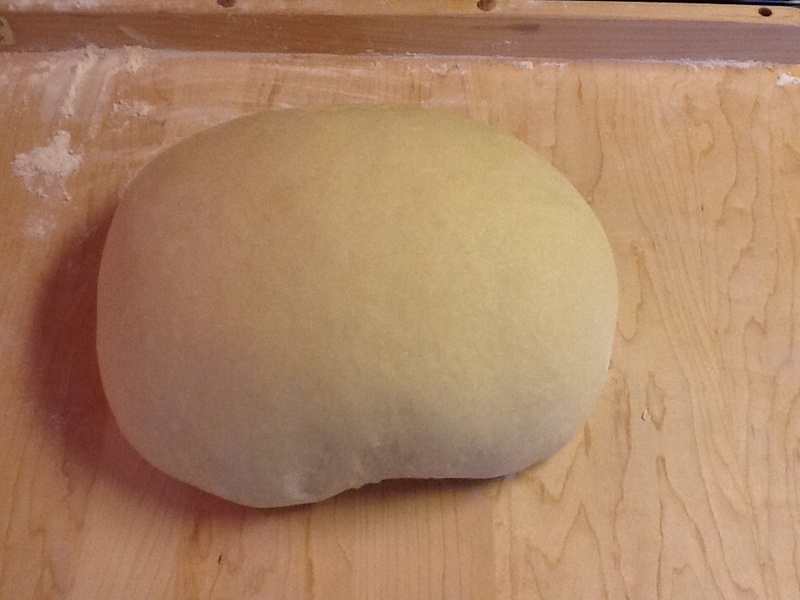 “Punch the Dough down” (all this means is flatten it to let the air out and make another ball!) and let it rise again until doubled in size! 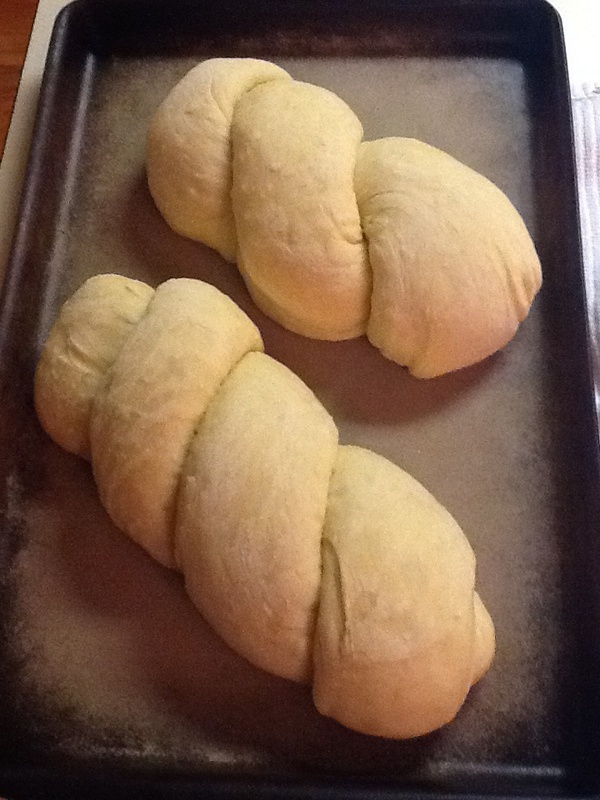 After this second rise, separate the dough and form loaves. If you are using bread pans, add the loaves to the pan, or if not put the loaves on a baking sheet and allow to rise again, one last time until doubled. This takes time but it’s worth it! You must let these loaves cool before cutting them! That’s not easy because they smell amazing! Here is my try at my grandmothers presentation! Happy Easter! I love these with a little butter, but the butter is optional! 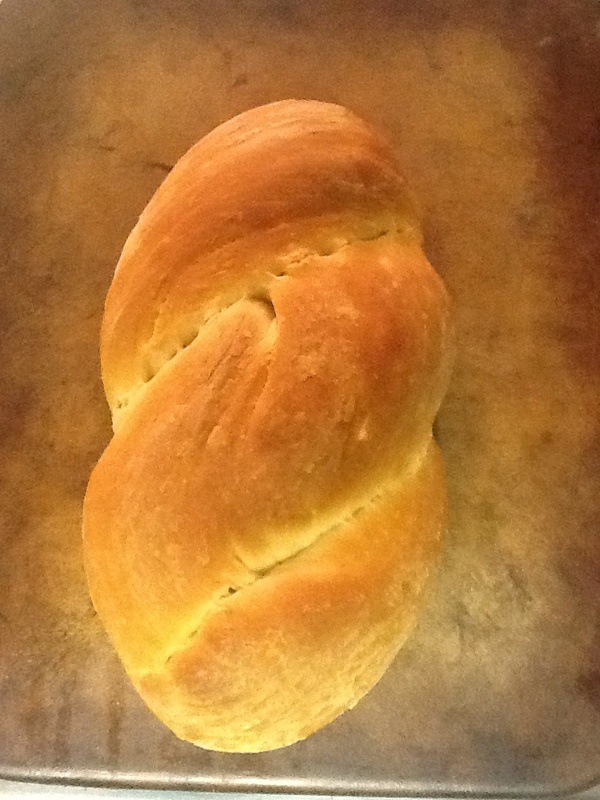 This entry was posted in Recipes and tagged Easter bread. Bookmark the permalink. http://www.sundaywithachanceofmeatballs.com is making Easter Bread! 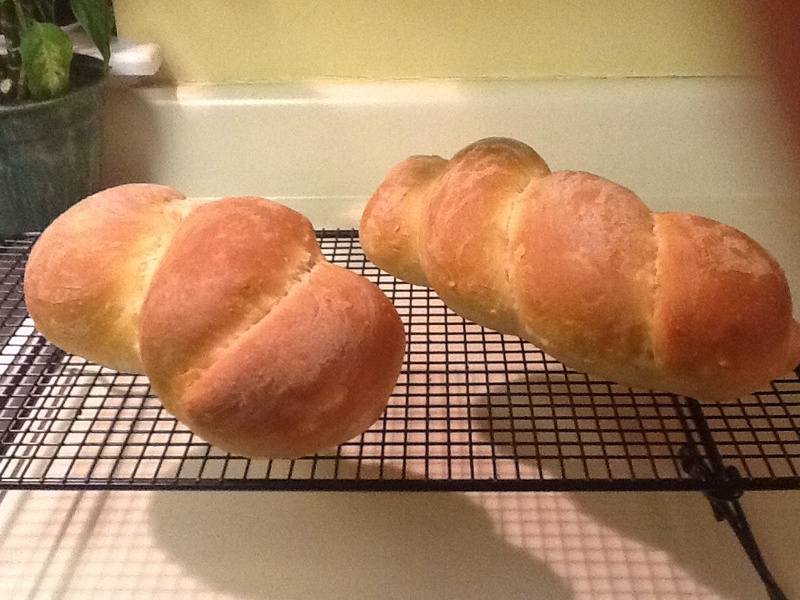 Pingback: Easter Bread! | Let's Eat!